Great album Fast Shipping Thank You!!!! Great service. Spot on description. 6 stars. Highly recommended. Real happy! Excellent packaging! Arrived safe and sound Thanks again! A+! 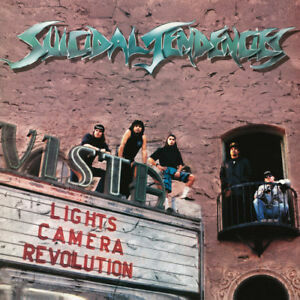 You cant go wrong with Suicidal Tendencies , lots of energy . Mark E .
Factory sealed , nice modern day vinyl pressing . nice green color .